Despite being widely disputed, it is often stated that J S Bach wrote the Goldberg Variations in 1741 for his virtuoso student Johann Goldberg to play for his insomniac patron Count Kaiserling on sleepless nights. Regardless of how interesting this gem of apocryphal trivia may be, this work stands on its own for many other reasons. Its dizzying acrobatic pianism, its profound emotional scope, and its diverse compositional complexity grounded in unity all warrant prolific commentary and analysis; however, as its popularity suggests, it is also extremely accessible for those who are unaware of these details. 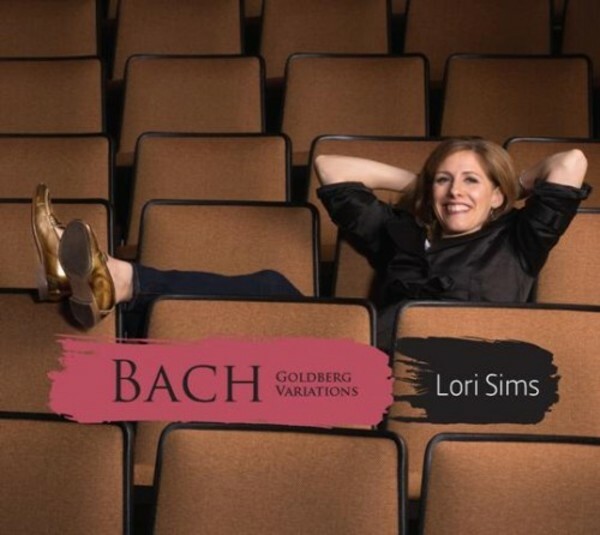 Lori Sims received the Gold Medal at the 1998 Gina Bachauer International Piano Competition, where she also won the prize for the best performance of a work by Brahms. She has performed throughout North America, Europe, China, South Africa and Israel. Her 2000 Alice Tully Hall recital debut in New York received critical acclaim from Bernard Holland in the New York Times and she has since returned to perform recitals at Carnegie�s Weill Hall, Carnegie�s Zankel Hall and Merkin Hall. In this, her third recording for TwoPianists Records, Lori explores the capability of the modern instrument to mimic other instruments. Thus we hear a blend of the relentlessness of the harpsichord, the rubato employed by harpsichordists and organists, the sound of an organ in a large church, the Baroque trio sonata (with recorder, cello, and harpsichord continuo), a chorale setting, and the trumpet of Brandenburg Concerto No. 2 - to name a few.